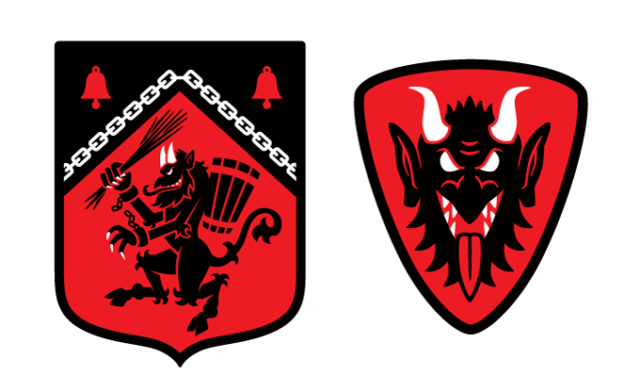 My newest patch set, the “Order Of Krampus” heraldic shield patches, is now live on Kickstarter from Dec. 5, 2017 to Dec. 21, 2017. 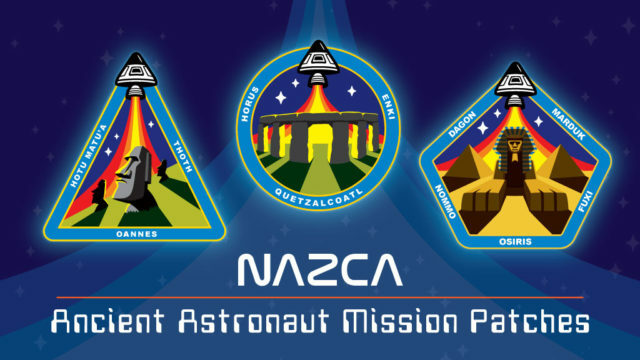 $16 gets you the main patch 2-pack and qualified you for any bonus items we unlock as stretch goals. 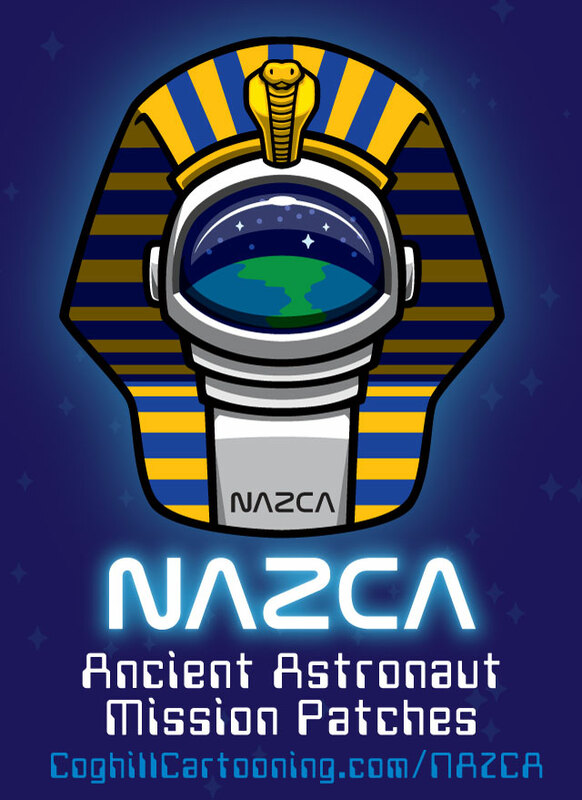 My newest embroidered patch set, titled “NAZCA”, launches on Kickstarter July 5, 2016. 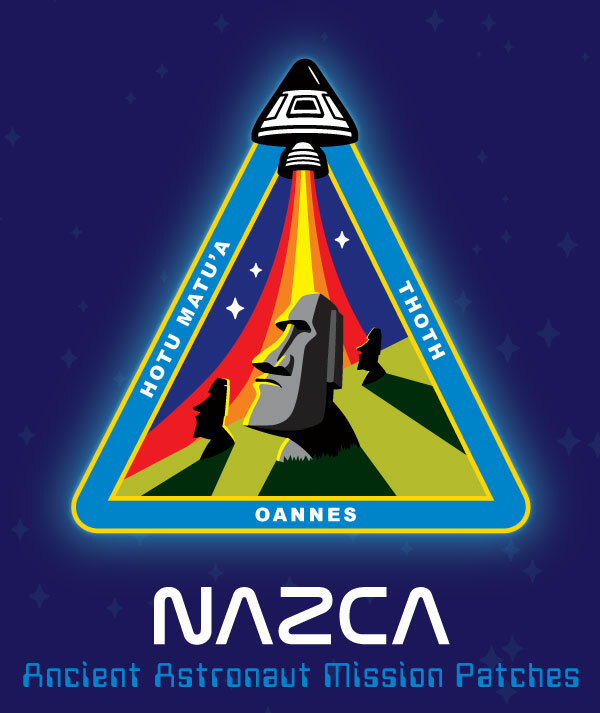 This patch set will feature 3 main embroidered patches with an ancient mysteries theme, and the artwork features the enigmatic monuments Stonehenge, the Sphinx and pyramids and the Moai heads of Easter Island. 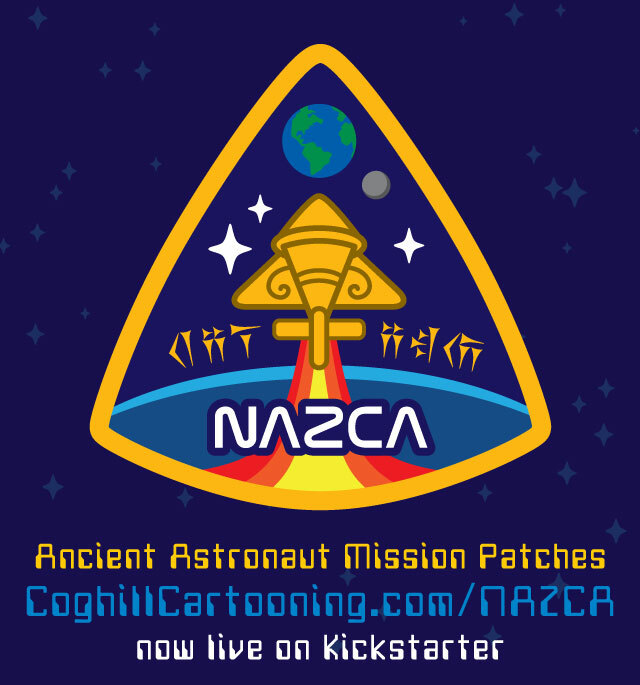 Bookmark the link http://coghillcartooning.com/NAZCA now and it will be updated to redirect you to the campaign page once it’s live. 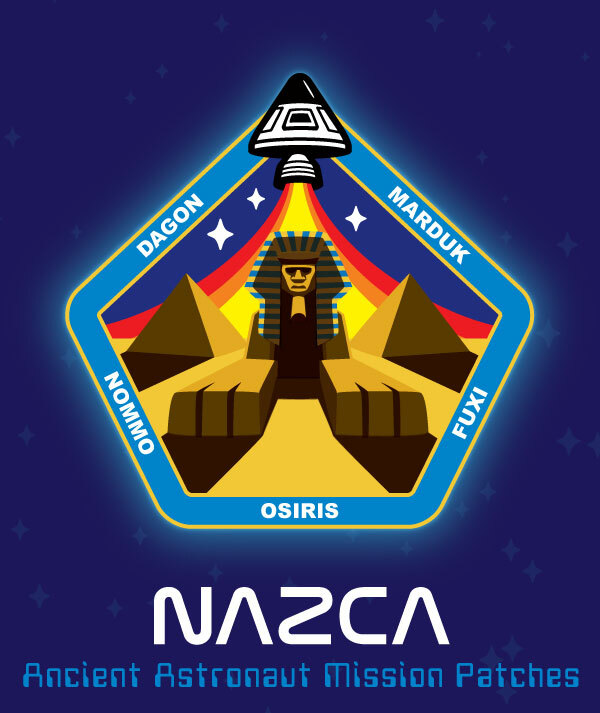 Sign up for my email newsletter and get an early look at the patch artwork, as well as a free NAZCA-themed phone wallpaper download. 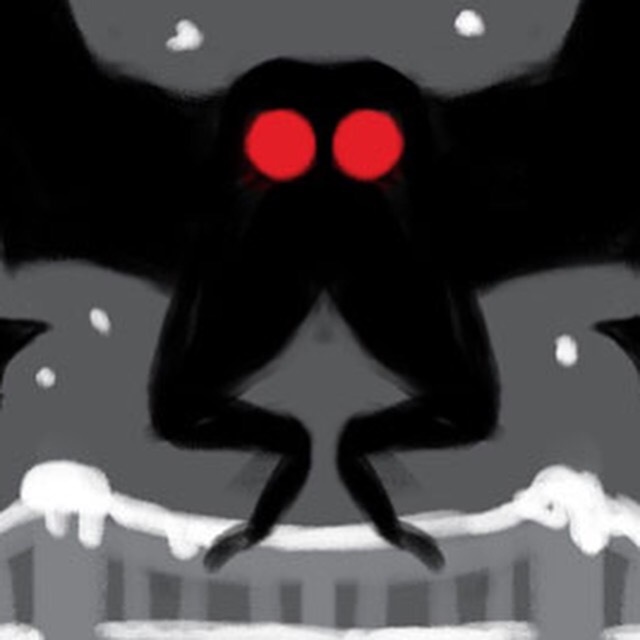 A little teaser of the Mothman patch sketch I’ve been working on. 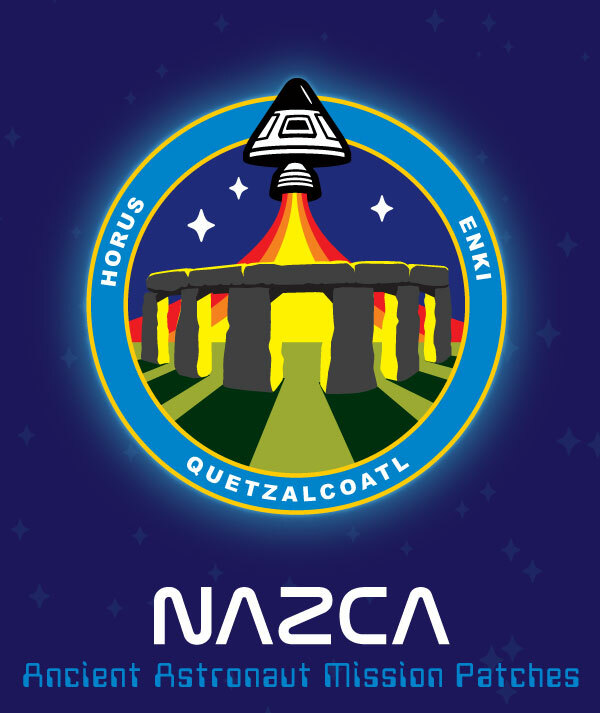 One of the three patches in the upcoming Cryptid Command 2 patch set. Chupacabra and the Kraken will be the other two. 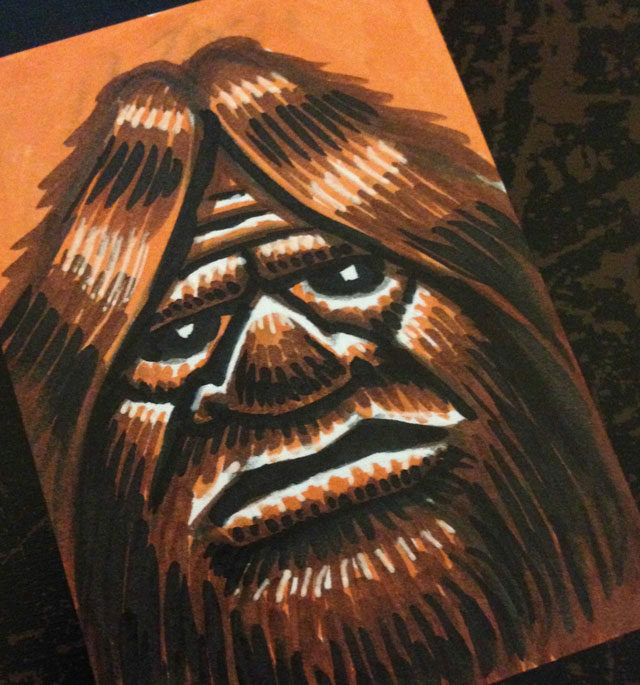 I’ve been creating a set of these Bigfoot marker art sketch cards for the 2016 Ohio Bigfoot Conference at Salt Fork State Park in Cambridge, Ohio. I started working with Copic artist markers recently and have become quickly hooked on them. In addition to the Bigfoot sketch cards, I’ll have more paranormal and cryptid sketch cards featuring aliens, UFOs, Chupacabra and other cryptids. I’ll also have some skull sketch cards as well. 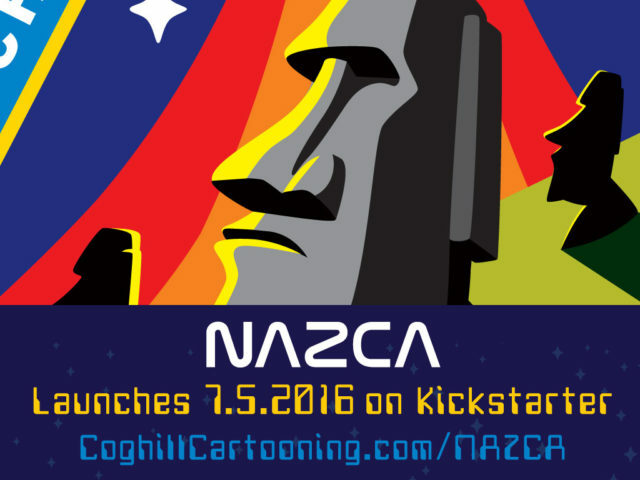 The event takes place on May 14th, 2016 and I will have a vendor table there selling these sketch cards along with other Bigfoot, Yeti and Sasquatch merchandise (embroidered patches, t-shirts, buttons, pins, stickers, prints, original art and more). If I happen to have any left after the event, they will be available on my Etsy shop. 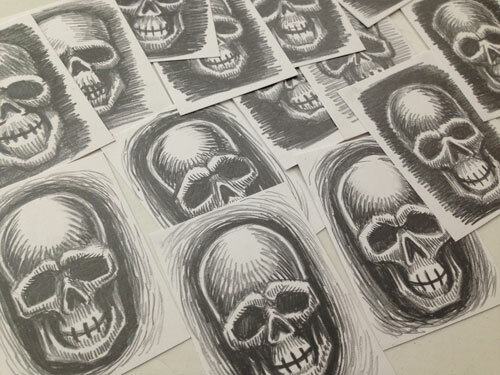 A preview of some of the skull drawing sketch cards I’m creating for the Kickstarter rewards on my recent “Ghost Guard” artist merchandise campaign. These will ship with select reward packages along with the Ghost Guard embroidered patches, Ghost Guard lapel pins, Ghost Guard I.D. 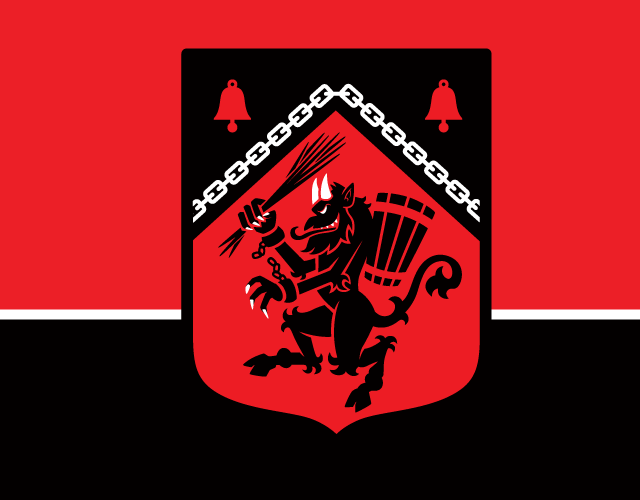 cards and more. All of the Ghost Guard merchandise will of course have glow-in-the-dark materials! The Ghost Guard officer’s kits will be for sale on my Etsy shop once the backer rewards have shipped. Be sure to sign up for my email newsletter for exclusive previews on upcoming campaign and merchandise artwork. 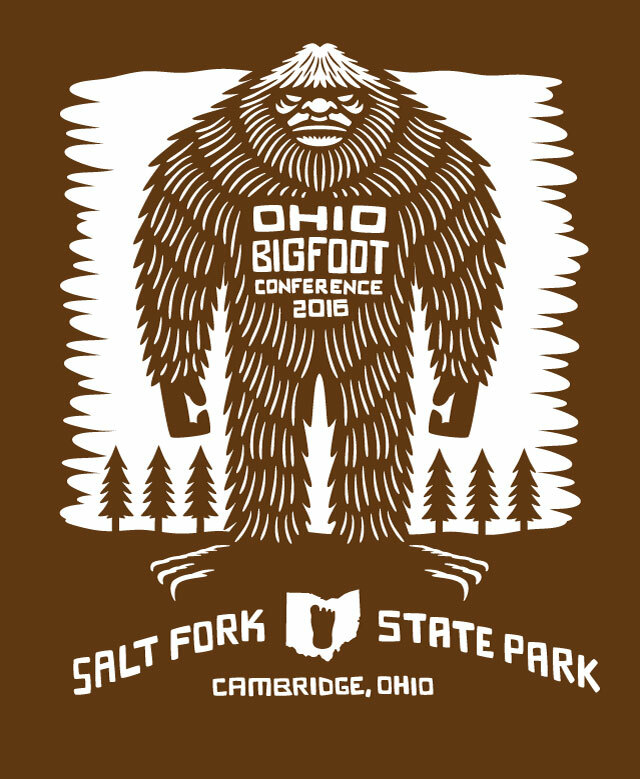 I’m printing up a limited run of these exclusive t-shirts for the 2016 Ohio Bigfoot Conference at Salt Fork State Park in Cambridge, Ohio. The event takes place on May 14th, 2016 and I will have a vendor table there selling these shirts along with other Bigfoot, Yeti and Sasquatch merchandise (embroidered patches, buttons, pins, stickers, prints, original art and more).